Custard is a must with dessert, especially pies and puddings. It beats ice cream any day. 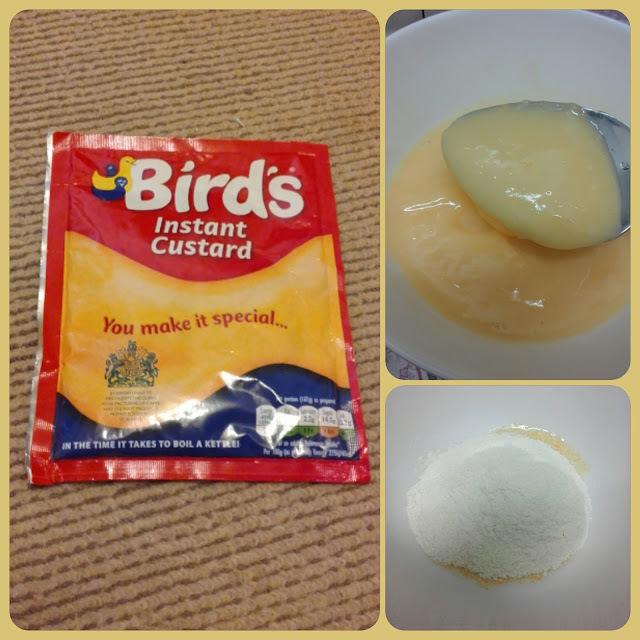 Bird's Instant custard works for me because you just boil water from the kettle, stir it with the powder and it is ready to serve.